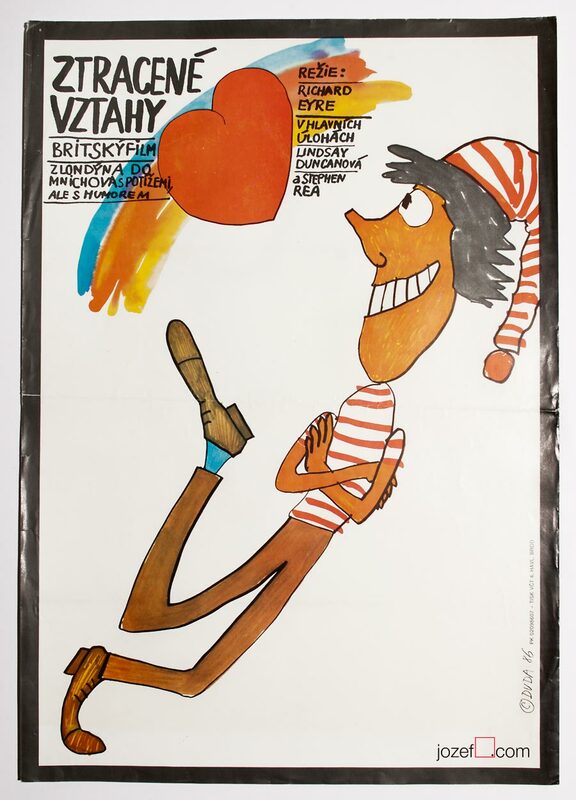 Romantic poster designed for British movie by Stanislav Duda. Made in Czechoslovakia. For shop or blog highlights, please subscribe to our weekly newsletter. 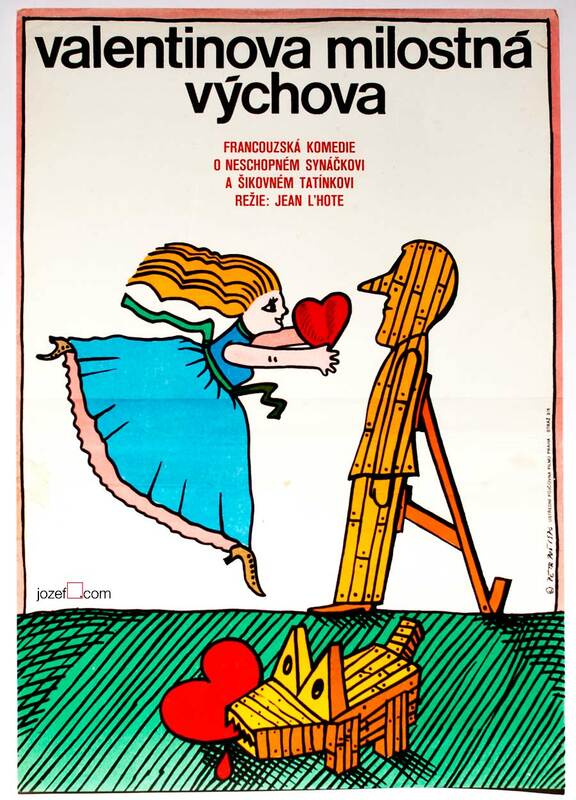 Lovely poster design for English romantic movie by Czech poster artist and illustrator Stanislav Duda. 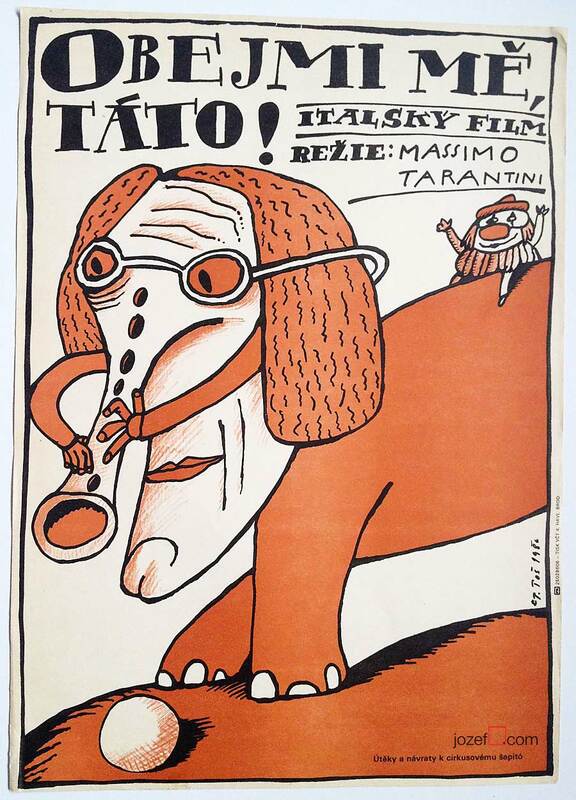 Poster is in A3 format, previously folded. Gently creased and cracked across the edges, with pinholes in the corners. Glossy print in very nice condition. 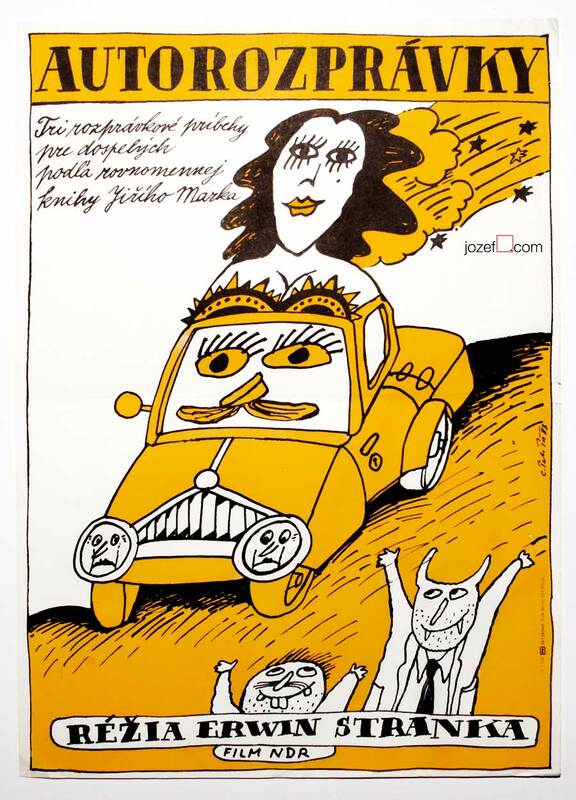 Be the first to review “Movie Poster – Loose Connections, Stanislav Duda, 1986” Click here to cancel reply.